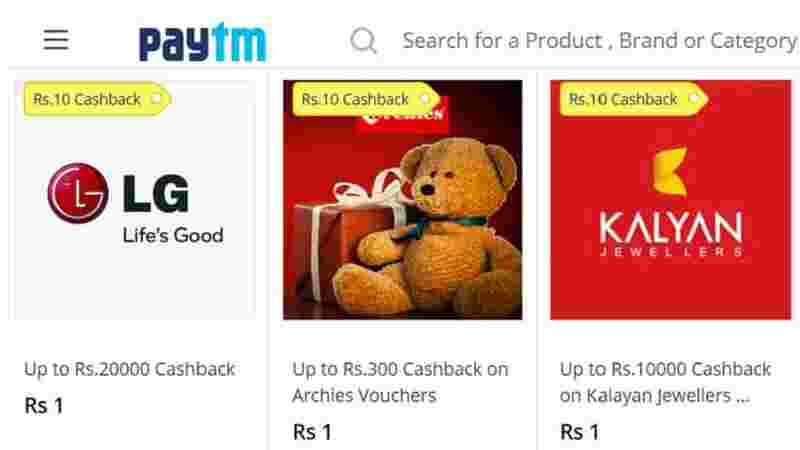 Patyam has always been sticking to everyone from its offers and now the company has given the same offer, which has been called ‘Explosion Offer’. PetiM is offering that you will get 10 bucks cashback in different brand stores on buying one rupee deal. Offer is valid till 31 December and a user can take advantage of it twice a month. The advantage of this offer can be taken in stores like Big Basket, Pizza Hut, Big Bazaar, Bata, Flying Machine and Woodland. How will the offer work? 1. First of all, buy one rupee deal on PetiMi’s site. 2. Choose a product in the brand store included in the offer. 3. Promo code before payment – Apply MAGIC. 4. You will get cashback of 10 rupees immediately. These offers are only available on certain brands. A cashback of up to 50 rupees can be found on the purchase of Haldiram’s store. This offer requires that at least 100 rupees be purchased. These offers will apply only to the purchase of these brand stores. It will not be used on other thirdpati apps or websites. These offers are only for those users who have completed the KYC process. Cashback PETIm comes in Wallet and it can be used for shopping, recharge, bill payment, movie tickets and travel bookings.